1 drawing : watercolour on paper ; 28 x 44.5 cm. 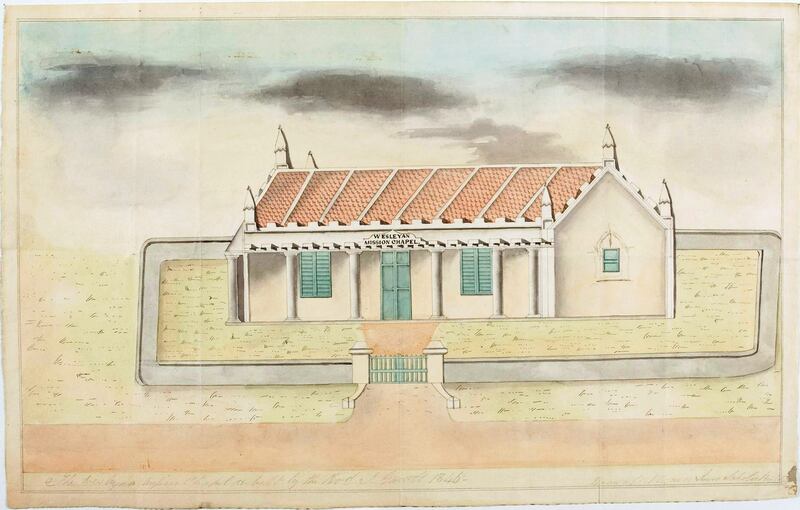 Titled in pencil below image: The Wesleyan Mission Chapel re-built by the Revd. J. Garrett 1846 and identified as "Drawn by J Rozario [?] Junior Scholar High School". Identified on verso in red ink as "Chapel at Bangalore" and numbered 16.